With Cumbrian free range pigs, Plumgarths is the perfect place to pick up some of the finest local meat whilst visiting the Lake District. We’d recommend that you try the award winning sausages from their very own sausage factory on the edge of Kendal and visit their farm shop for a delicious choice of locally made jams and chutneys. It’s not just their sausages that hold a trophy; the shop itself has also won a number of awards too. Organised and planned by Made in Cumbria, Kendal Farmers Market has a vast selection of locally grown, sourced, and produced food on offer. Around a 15-20 minute drive from Craig Manor, this market is well worth the trip and perfect for picking up a few treats to take home with you. Originating from 1854, Sarah Nelson’s Grasmere Gingerbread shop offers some of the most iconic locally sourced produce in the Lake District. It’s not just scrumptious gingerbread that they make in this adorable little shop however… discover mouth-watering supplies of toffee, fudge, jams, chutneys, Cartmel Village Store sticky toffee sauce, and much more. Also a great place to visit if you’re hoping to submerge yourself in the wealth of history and culture of the area, Grasmere Gingerbread is not to be missed. The Coniston Kitchen Larder, another award winning local business, is the perfect trip out and is a proud Cumbria Life award winner. All their ingredients are sourced locally and, more often than not, they are seasonal too, allowing you to buy fine local ingredients to produce the perfect dish on your return home. 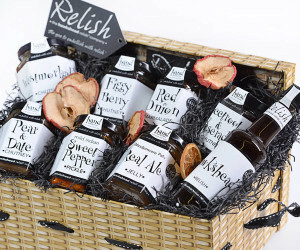 Their products range from conserves to puddings, perfect gift ideas for your friends and family. We believe there’s something rather special about seeing the food you’re eating being produced right in front of you. At Low Sizergh Barn, you can watch the beautiful cows being milked and then treat yourself to some of their amazing tearoom treats (made fresh from the dairy), with scones, an array of puddings, and much more. A lovely day out for all the family on this fantastic working farm. There certainly isn’t a question of wanting more when you visit this beautiful bakery. With more than five awards to their name, this is the perfect place to sample some of the Lakes’ best bread and baked produce. Already had your fill? Why not try making your own artisan bread and patisserie at one of their wonderful classes? With a team of bakers and a range of awards, the Apple Pie in Ambleside is the perfect spot for cakes, a quick bite to eat, lunches, and even a small tipple. If you’re just passing through, take advantage of their takeaway service, allowing you to choose sandwich fillings of your choice and pick from a range of tempting cakes, the perfect local fuel whatever your journey! The chocolate lover’s dream – this amazing place shows you an array of different products and delights, perfect for gifts or just to treat yourself. You can choose from many gift boxes and chocolate selections – some of which are created depending on the time of year! Looking for a daytime and evening menu with a difference? Wilf’s Café is the perfect riverside location to enjoy a range of delicious food. From homemade cakes to huge breakfasts to chunky salads; there’s definitely something for everyone, especially with their dedicated children’s menu!